especially those that are powerful due to their awesome source of vitamins and minerals- like this yummy salad bowl. I made this powerful power bowl salad for Paul on a day when I didn’t have a whole lot of food in the house, and it was a REAL winner. Alone some of these ingredients can feel boring, but together they pack a powerful punch. 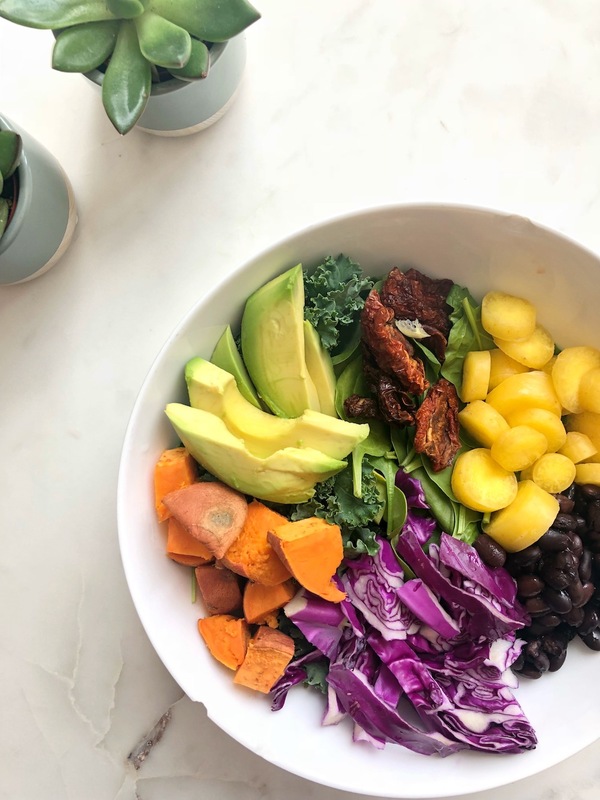 This salad bowl has a base of kale and spinach, and is topped with yellow carrots, avocado, black beans, sweet potato, red cabbage and some sun-dried tomatoes. 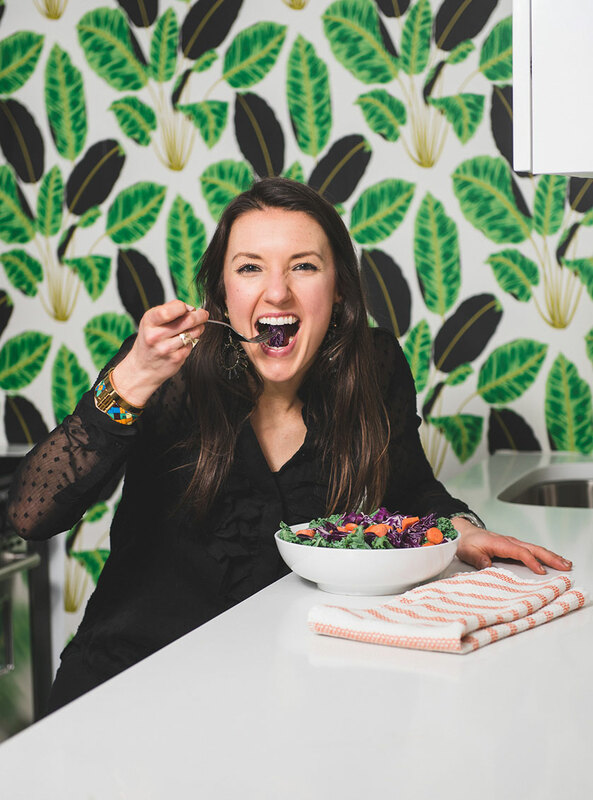 This bowl is a great source of brain-healthy nutrients like folate, b vitamins, iron and potassium. This bowl is also super easy to make and modify. Add your favorite protein on top to make it a really complete meal (though it’s pretty awesome as it is!). If you’re able, please try to make the ingredients of this salad organic! Wash and prepare the ingredients of the salad and assemble in the serving dish. In a separate bowl, mix together the ingredients of the dressing. Pour the dressing over the salad and mix together. Want more salads? Click here!